On Thursday 19th. 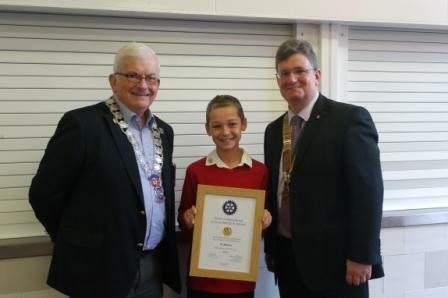 September – yes, the same day as the District Council Meeting, the Rotakids Club at St. Martins School, Dover received its charter. Now there are some Districts that have already chartered several R/k clubs (I read from the recent ‘Rotary Today’ issue), but for D1120 this is our first! So congratulations to Dover who now have a ‘full house’ with this club, an Interact at Dover Girl’s Grammar School, a Rotaract club, and two Rotary clubs, Dover, and South Foreland. The kids have already expressed their willingness to support the ‘End Polio Now’ campaign, and to assist the ‘senior’ club with their Christmas collections, clearly a case of ‘Service before elf’. Sorry, the urge was too strong! Anything wishes them a strong start to their new charter, and that they have a good and and highly enjoyable Rotarian career. 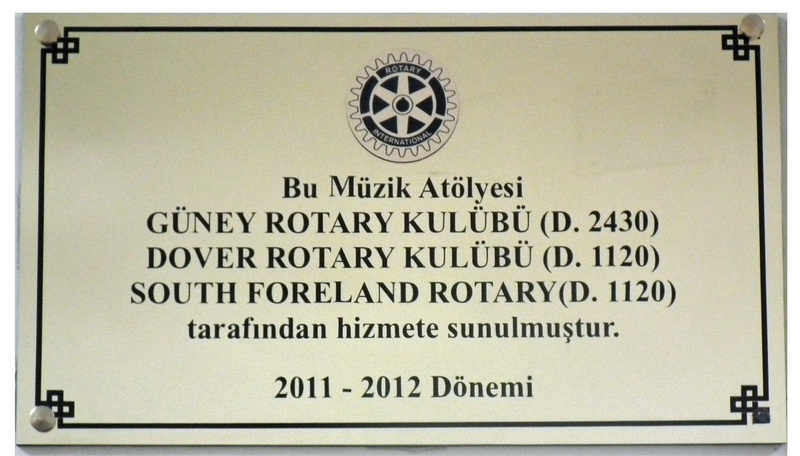 In February 2011, the Rotary Clubs of Dover joined forces with the Rotary Club of Guney in Adana in Eastern Turkey. We became partners in a Music Project for a State Orphanage. In Turkey the State supplies the home for the children, but there are no other funds to address the problems that the children have. The funding came as follows: Rotary Club of Guney: US$ 5,660, District 2430 (Turkey) US$ 2,500, Rotary Club of Dover $US 4,566, Rotary Club of South Foreland US$ 1,500, District 1120 (Kent & East Sussex) US$ 1,000 = total US$ 15,226. 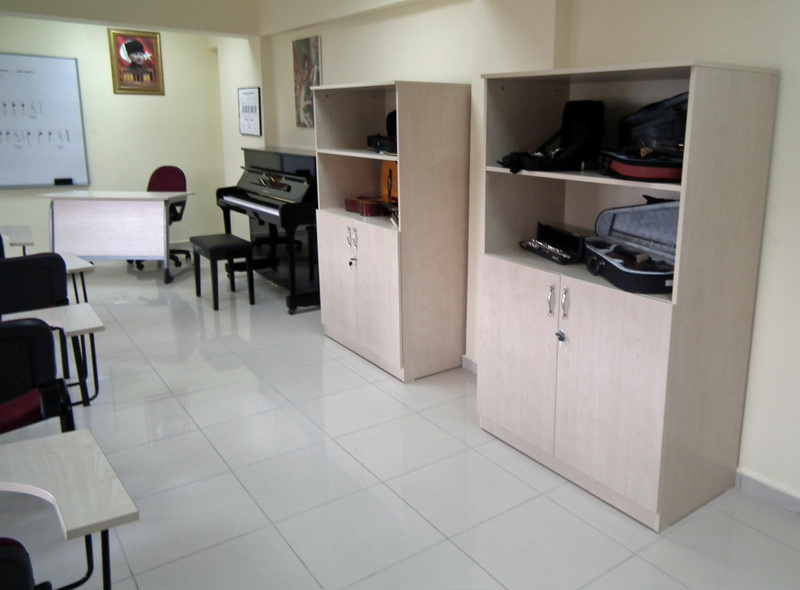 The Principal of the Orphanage understood the children’s needs, and enabled the RC Guney to progress the project by supplying a special room for the music education. 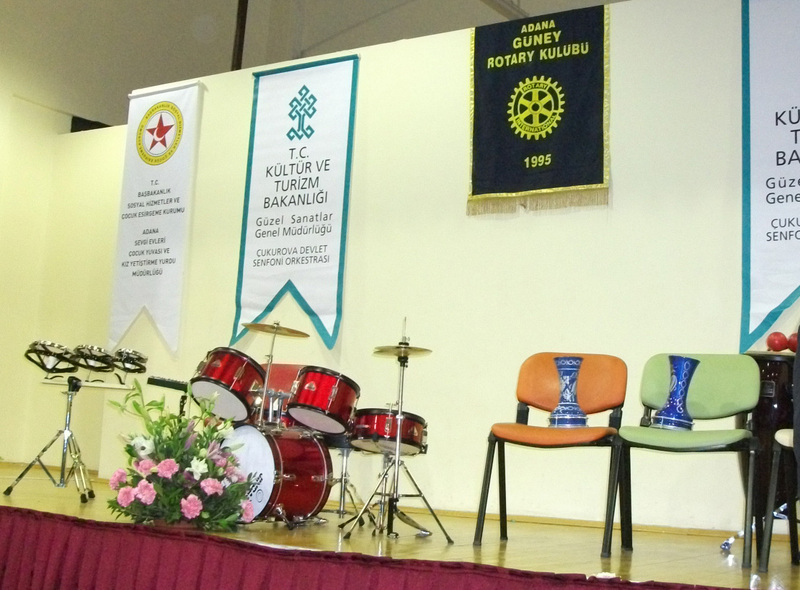 The Rotary funding supplied the decoration, furniture, storage, white board and of course the instruments. The RC Guney has arranged for musical tuition through the State University of Cukurova. Musical training started a few months ago when a children’s chorus was formed, with four training sessions a week . The children’s behaviour and results have immediately progressed in a very positive way. By the autumn of 2011, the funding was complete for the room and the instruments. On 15th February 2012 there was an official opening ceremony. I was delighted, as President of the Rotary Club of Dover to attend the opening in Adana, and was accompanied by Christine Pike. Christine is the widow of Rotarian David Pike who was the International Chairman of RC Dover throughout this project, and who had been responsible for organising the fund raising. It was incredibly sad for us all when David died very suddenly in December 2011. 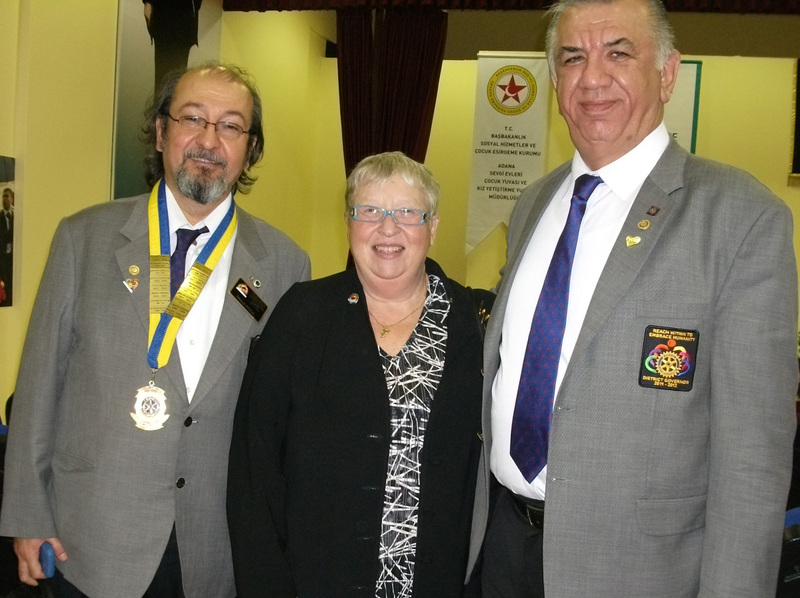 Meeting the Rotarians of the Turkish Club, being hosted in their homes and being treated like royalty was a wonderful experience for both Christine and myself, but the best was yet to come. We attended the opening ceremony and listened to the children’s chorus. We watched in awe as a teacher led out the deaf girls dressed in wonderful traditional costumes , and they danced as if they could hear every note. As the instruments had only just been delivered, the drum band had only had tuition for 4 hours that week, yet their performance was magical. The children’s enthusiasm was contagious, and the pride of Rotarians and the professional musicians in seeing their work progress was uplifting. Later that day, the musicians from the State University could not thank us enough for our help. Their vision is not just to use music as an aid to the children’s development, but also to supply the training for any gifted child to progress to a musical vocational – and change that child’s life. I know that I will never forget that afternoon – and I am immensely proud that the Rotary Club of Dover have been part of this project. ‘Rotary the World Over’ … will no longer be just a toast at the end of our weekly Club meeting … it is a phrase which has real meaning because we have been part of a project which shows that Rotary can change lives. I would to invite you to a very special Rotary Club of Dover event. We are going to celebrate the wonderful ability of Rotarians worldwide to work together to achieve incredible things. This Turkish Music Project was our International Project in 2010/11. Together with our partners in the Rotary Club of Guney, Adana, Turkey, Rotary Club of South Foreland and a Foundation Grant from District 1120, the Rotary Club of Dover raised over $15,000 for this project. Here is the background to this project. The city of Adana in eastern Turkey is a major agricultural and commercial centre on the Seyhan river 30 km from the Mediterranean sea, it has a population of about 1.5 million, Turkey’s fifth largest city. It has a mixed community with areas of good commercial activity and areas of low income with inner city problems. The neighbourhood administration cannot provide social services nor funding to increase the involvement of the residents in local issues. There is strong identity in low income areas with their neighbourhood. The Sevgi Evleri Children’s Home in Adana, Eastern Turkey cares for orphaned children, aged 0 to 18, some abandoned by their parents, some neglected, which results in these children being reduced to begging, and exposed to alcohol abuse and drugs. The result is these vulnerable children have low self-esteem, lack confidence and they lack a sense of community and understanding of working within it. Some are mentally retarded and have some learning and speech disorders. These children need more individual care and support, and more opportunities to express themselves. Tbe Rotary Clubs involved in this project decided to support a project to provide a music centre for this Orphanage as music education can develop children cognitively, emotionally, and psychologically; it nourishes their hearts, and enriches their imagination and creativity. Training particularly with others will contribute to social skills and team play and consequently their own security, and sense of community. Music will assist and provide positive effects. When music starts at an early age it contributes to the development and shaping of individuals in a more social and sensitive way. Most human beings respond to music in a beneficial way but this talent needs to be uncovered and enhanced. The Rotary Clubs organised a specialised room in the Orphanage, decorated and complete with storage, furniture and teaching aids. The Clubs purchased instruments and the Turkish Club has arranged with the Cukurova University for music teaching to be undertaken. We are all delighted that there will be an opening ceremony in the Orphanage on 15th February 2012. The President of Rotary Club of Dover is going to Turkey to attend this ceremony, together with the widow of our Lead Rotarian for this project, who sadly died suddenly in December, just days before we heard of the completion of this project. Please join us on 15th March – it will be an evening to remember. As well as a ‘themed’ 3 course meal, we will have a Presentation of the Project – including pictures of the Opening Ceremony – we will hold an auction of Turkish artefacts (money raised going to our next International Project), and will finish with a performance from a stunningly talented former Rotary Young Musician contestant. I attach a poster with all the fine details – please come – and bring other Rotarians and friends. Let’s make this a real celebration of Rotary achievements.